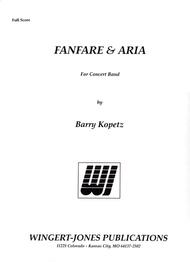 Composed by Barry Kopetz. Concert Band Music. Concert Band Series. Concert and Contest. Full score. Published by Wingert-Jones Publications (WJ.3013172).